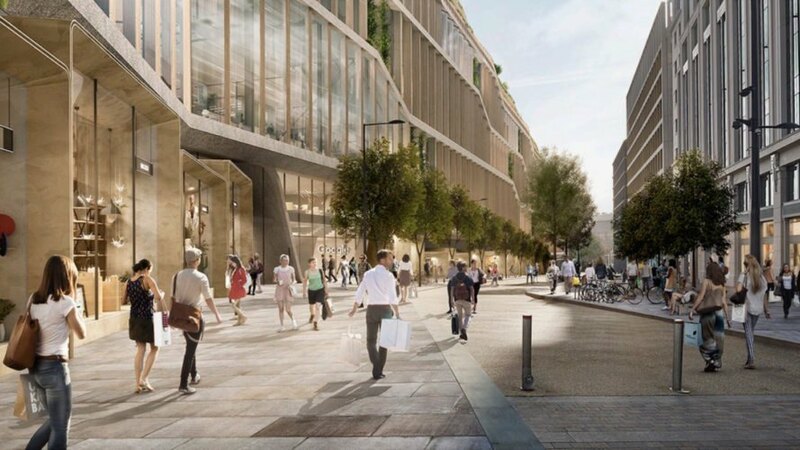 Google has finally unveiled plans for its new London headquarters—and it’s a beaut. Designed by the architecture studios of Thomas Heatherwick and Bjarke Ingels, the gargantuan one-million-square-foot office building is dubbed “landscraper” for its length that’s longer than the Shard is tall. Set parallel to the King’s Cross railway station, the Google building is punctuated with greenery and energy-efficient systems including rooftop solar panels and smart solar blinds. 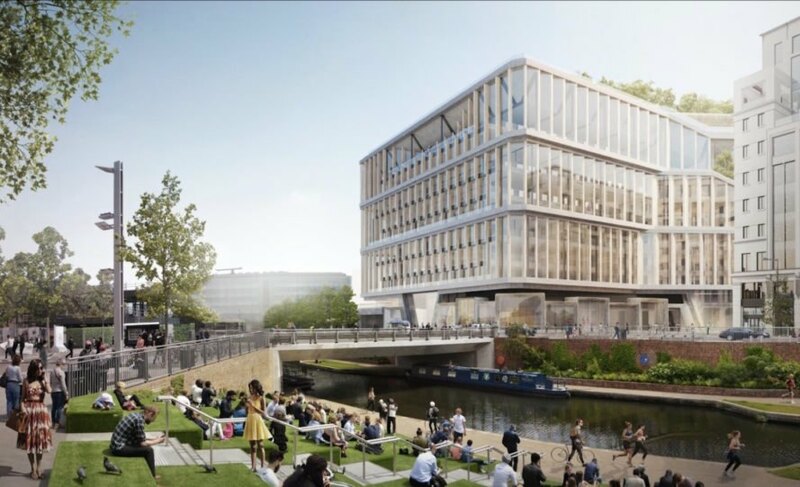 Recently submitted to the Camden Council for planning approval, Google’s “landscraper” is one of three buildings that will create a campus for up to 7,000 employees. Although BIG and Heatherwick are also designing Google’s Mountain View campus the two campuses are remarkably different. Whereas the California campus catches the eye with its tent-like design, the London “landscraper” is more demure with its 11-story tall blocky form. Natural light and greenery fills the giant luxury office building, and employees will enjoy access to a “wellness center” with gyms, massage rooms, a swimming pool, multipurpose sports center, and a rooftop garden with varied landscapes, edible gardens, cafes, and lookout points. The building also includes bicycle parking for commuters, rooftop solar that amounts to nearly 20MWh of annual output, and motorized timber blinds to mitigate solar heat gain. Construction is expected to begin in 2018. 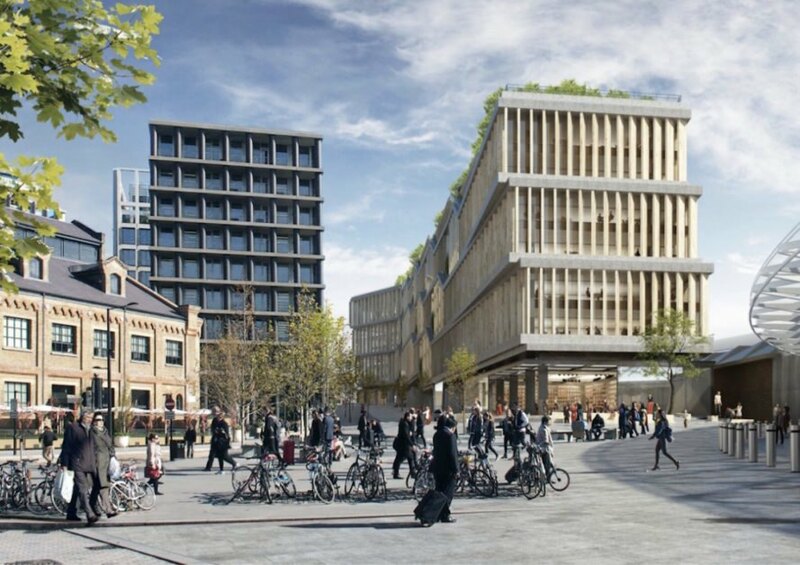 Google has finally unveiled plans for its new London headquarters—and it’s a beaut. 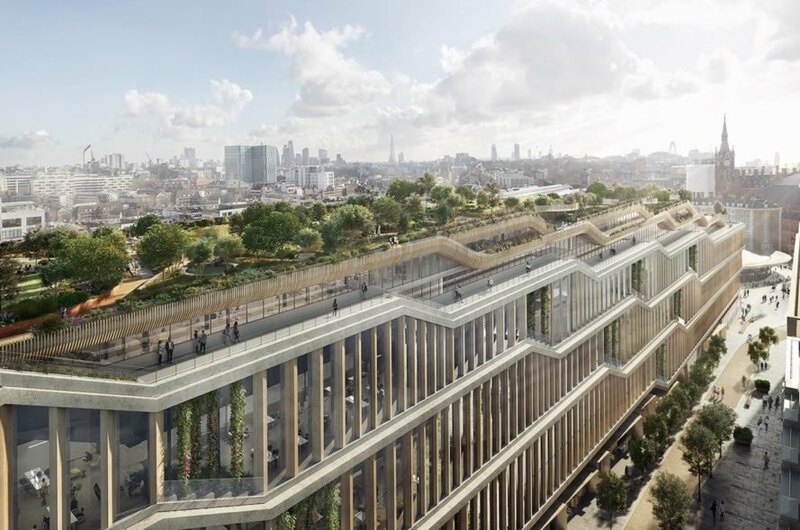 Designed by the architecture studios of Thomas Heatherwick and Bjarke Ingels, the gargantuan one-million-square-foot office building is dubbed “landscraper" for its length that’s longer than the Shard is tall. 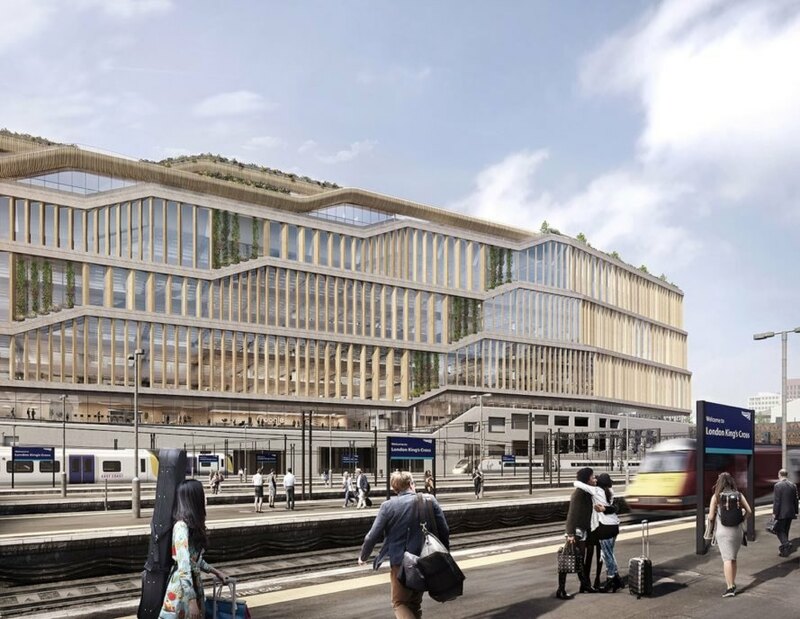 Set parallel to the King’s Cross railway station, the Google building is punctuated with greenery and energy-efficient systems including rooftop solar panels and smart solar blinds. 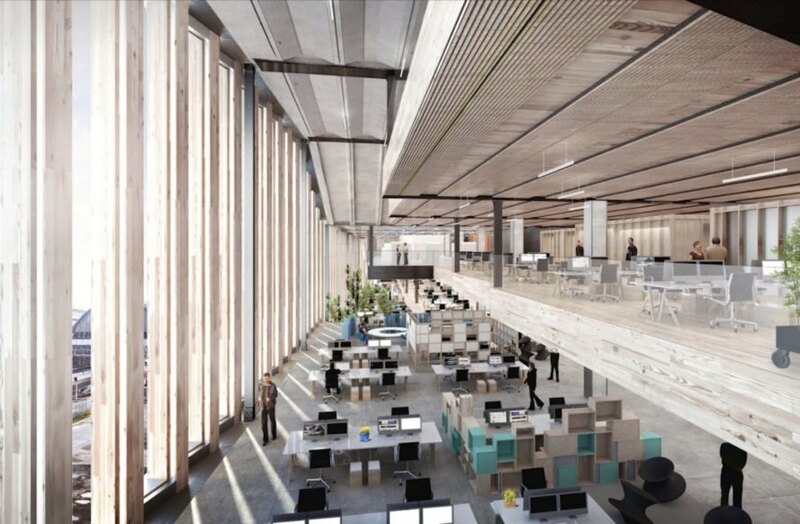 Recently submitted to the Camden Council for planning approval, Google’s “landscraper” is one of three buildings that will create a campus for up to 7,000 employees. Natural light and greenery fills the giant luxury office building, and employees will enjoy access to a “wellness center” with gyms, massage rooms, a swimming pool, multipurpose sports center, and a rooftop garden with varied landscapes, edible gardens, cafes, and lookout points. The building also includes bicycle parking for commuters, rooftop solar that amounts to nearly 20MWh of annual output, and motorized timber blinds to mitigate solar heat gain.